Here comes the Bride & Groom! 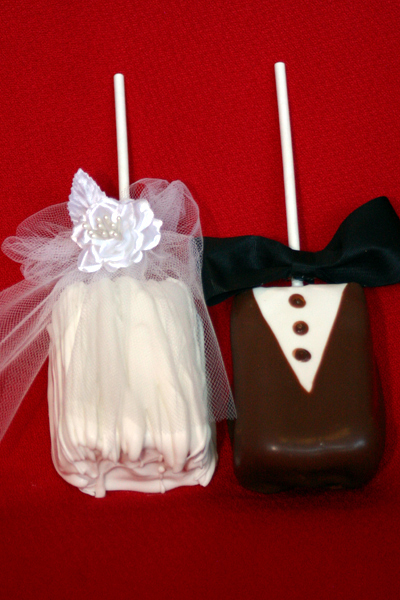 We take our wonderful krispie treats, add caramel, white & milk chocolate and decorate for the occasion. Great wedding favors, anniversary parties, or showers. 3 Brides/3 Grooms. Sold in sets of 6.